Square Enix has been doing a bit of teasing since yesterday, but it seems their efforts to hide its reveal of Deus Ex: Mankind Divided have been thwarted by the internet as information has been unofficially leaked. Russian site Kanobo.RU has located assets in relation to Square Enix's alternate reality game from GameInformer's upcoming May cover reveal just a bit ahead of schedule. Thanks to the power of Google Translate, we have some information you all may find interesting. Continuing the story of Adam Jensen, Mankind Divided is about the separation of augmented and non-augmented which continues the drama started in Human Revolution. 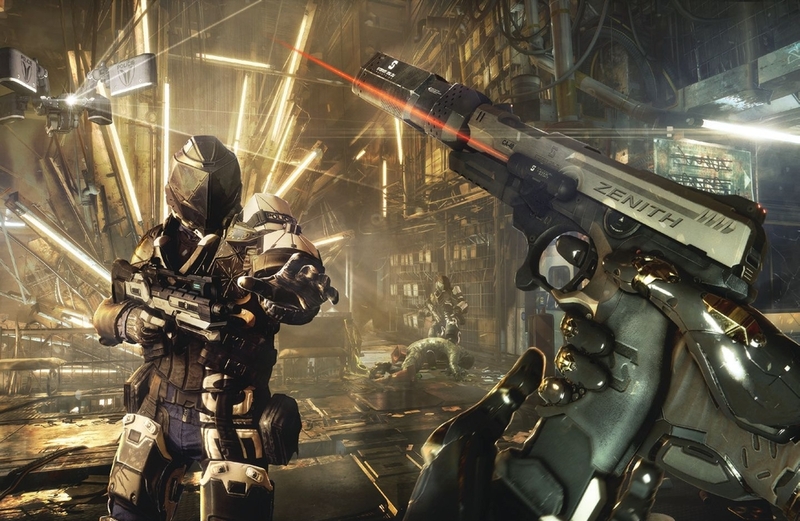 Mankind Divided will also continue the stealth VS. guns-blazing gameplay showcased in the last game. In addition to some older abilities, Jensen will also be given the opportunity to hack remotely and scan enemies for ammunition and other useful items. Like soaking up bullets? Jensen will now be able to walk into combat situations and deflect in the same vain as Crysis' armor. For those hoping to continue from a previous save will be disappointed to learn that any and all save progress is not considered canonical and you will be starting the same as everybody else in the world. On a more positive note, actions during the game will effect future locations and events in the later stages of the game giving different outcomes as you play in a "butterfly effect" sort of way. Are you excited for more Deus Ex? Let us know in the comments below.